About Us - Fiosta Technologies, LLC. 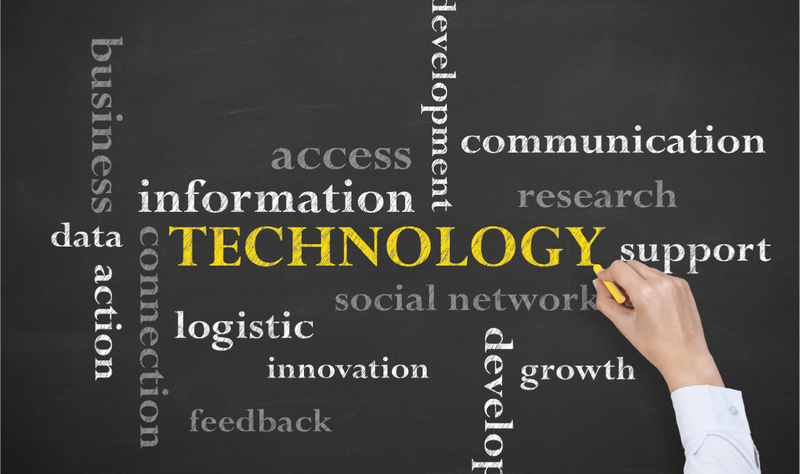 Get to know Fiosta Technologies, learn what we are all about, and our mission for our clients. Here, we have listed our current certifications registered in the great state of Texas! 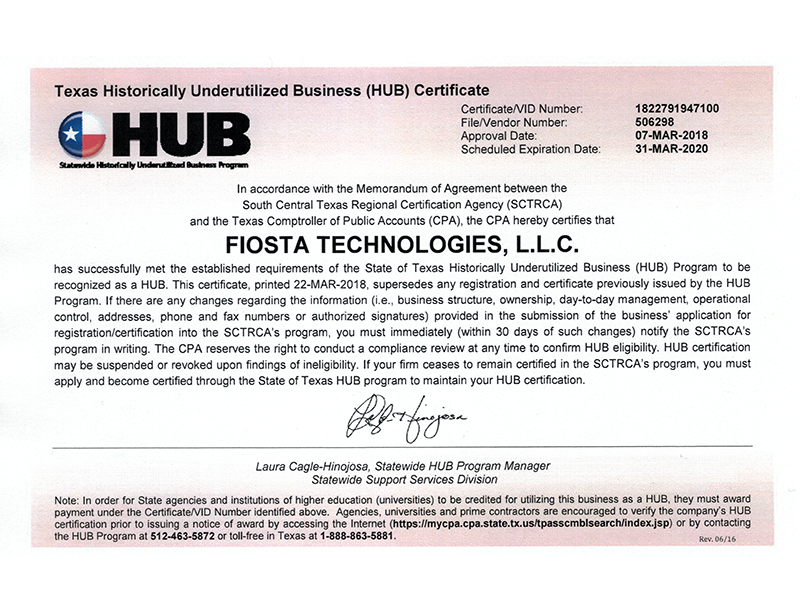 Fiosta Technologies, LLC. has successfully met the established requirements of the State of Texas Historically Underutilized Business (HUB) Program to be recognized as a HUB. 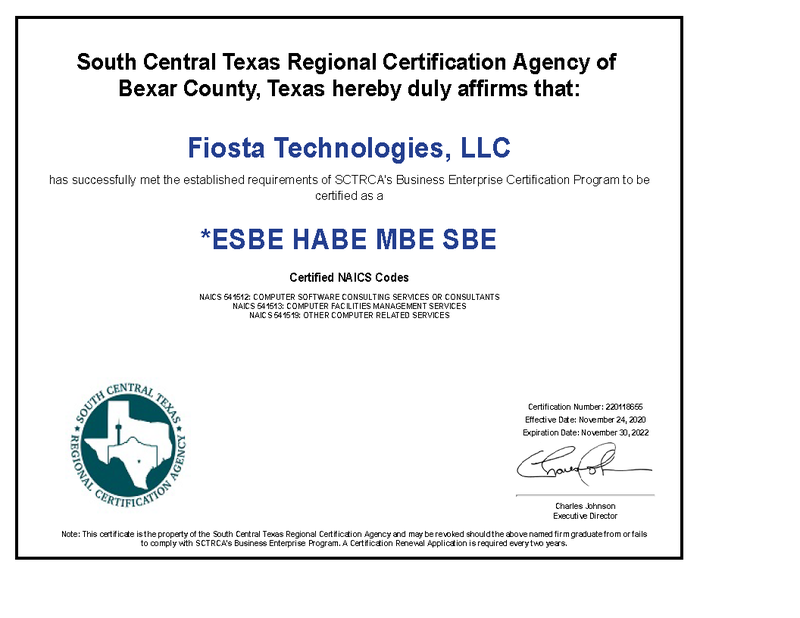 Fiosta Technologies is located in San Antonio / Helotes, Texas, where we provide professional and certified IT services to businesses big or small. We are here to support your business and all of its technology needs. The company's founder Dave Cruz, has worked in the IT field for over fifteen years. During initial evaluations of jobs/companies he worked for, they always had substantial issues or lack of dedicated IT support where it was needed. His idea of Fiosta came about to create a company that could prevent those situations from happening and better support companies in the Texas area. 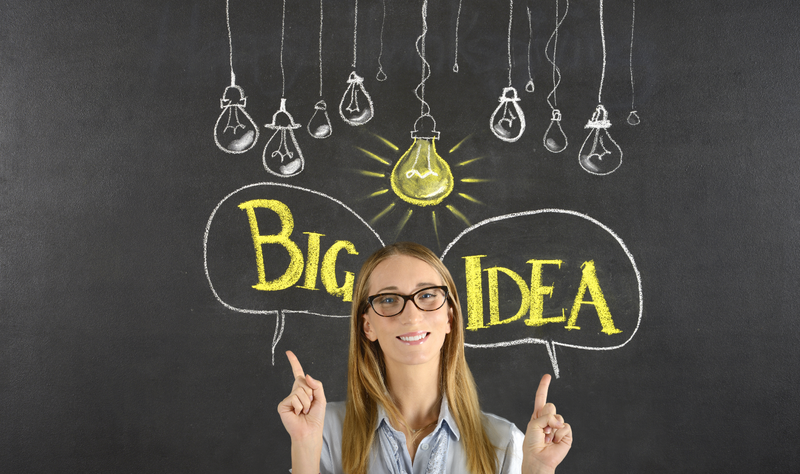 Our goal is to provide local support to every business big or small. We set ourselves apart with our outstanding service, and over fifteen years of knowledge and experience. We want to know your businesses needs and how we can help you maintain your own goals without the worries of technology.